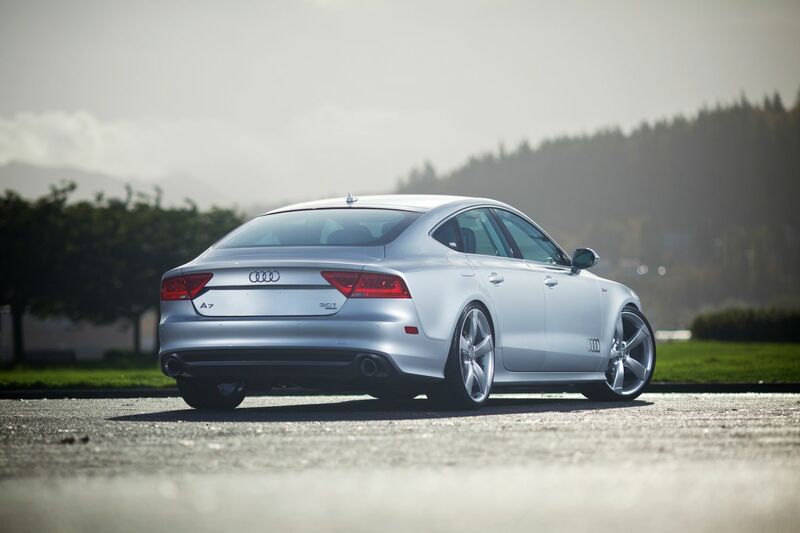 H&R 2013 Audi A7 | H&R Special Springs, LP. Once in a while a unique and interesting car comes along. 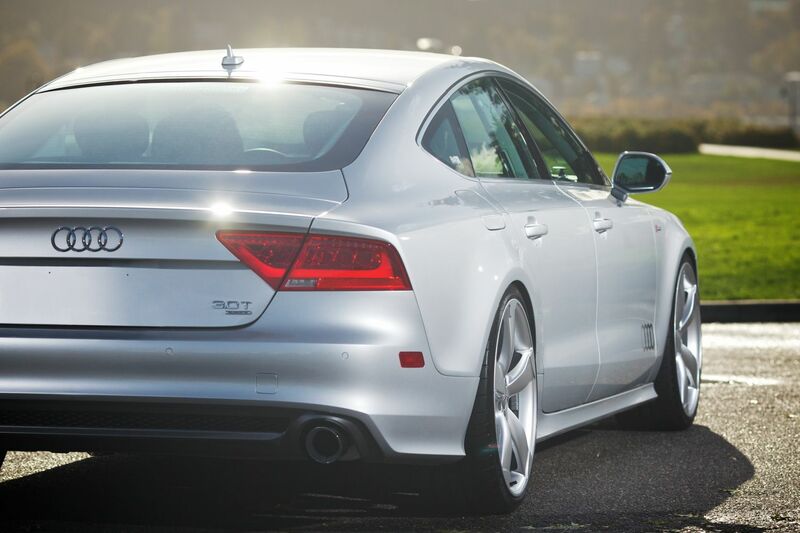 Today that car is the new Audi A7. 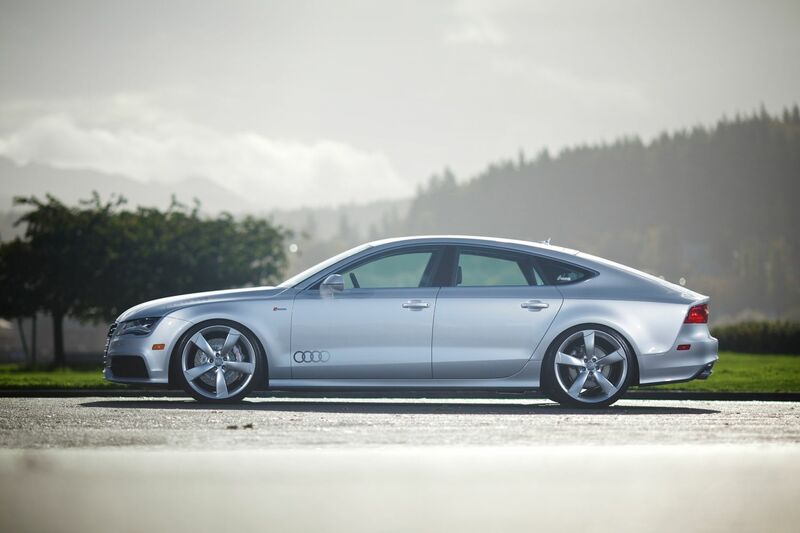 In this new segment of four door coupes, the Audi A7 has made a striking statement with a most appealing style! 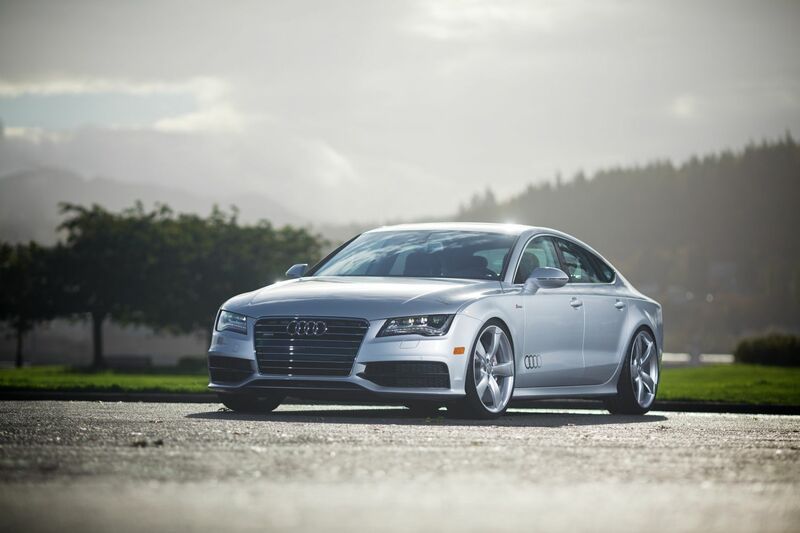 Featuring Audi’s proven Quattro all-wheel drive system and 3.0-liter supercharged TFSI V6 engine with eight-speed Tiptronic automatic transmission, the A7 fits in with the haute couture crowd and is the perfect candidate for an H&R SEMA tuning project. Building high-end award winning car projects is something the tuning specialists at H&R are known for. 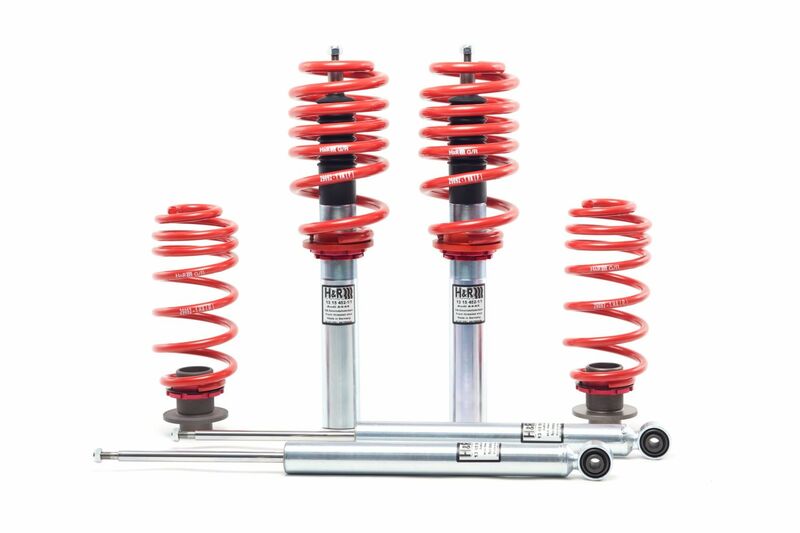 Starting with H&R Street Performance Coil Over suspension, the A7 chassis is lowered 1.15” in the front and 1.35” in rear, while the progressive spring rates and precision damper valving design ensures superb ride quality. 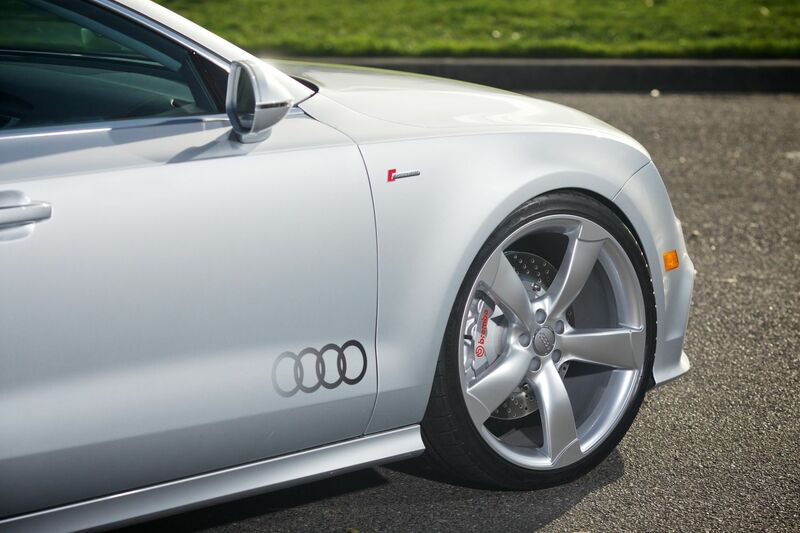 The new Audi 5-arm rotor design wheels are a future classic. These 21” beauties are an immediate attention getter. Michelin Pilot Super Sport ultra-high performance tires, size 265/30ZR21, allow you to take full advantage of the A7’s performance potential. These exquisite 5-spoke wheels are a true focus point bringing into view the big Brembo brake package with 15” cross drilled rotors and 6-piston Monobloc front calipers. H&R 18mm TRAK+® Wheel Spacers front & rear fine tune the tire and wheel gap for the perfect “Go Wide” stance! The AWE Tuning A7 exhaust system, with polished silver tips, is a hand built work of art providing nice performance sound with a +12hp increase featuring adjustable 4” tips allowing you to set the stagger or depth into the rear valance according to personal taste. 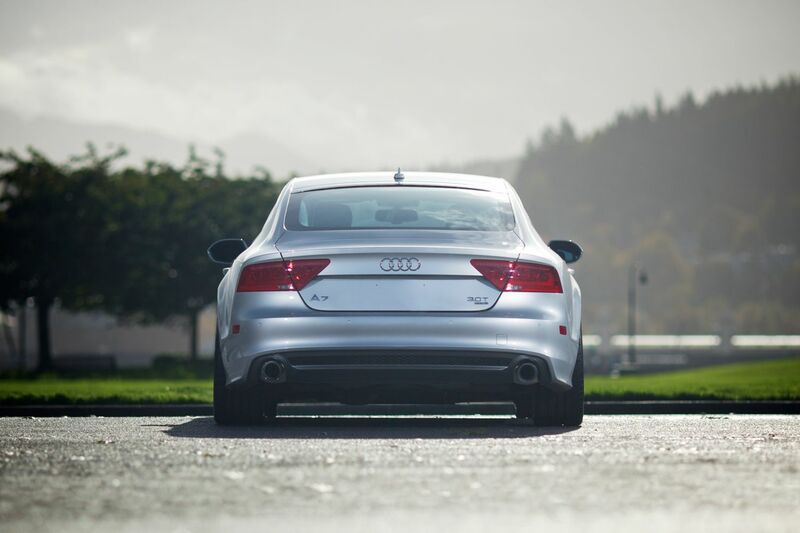 AWE Tuning’s exhaust system is a great addition. 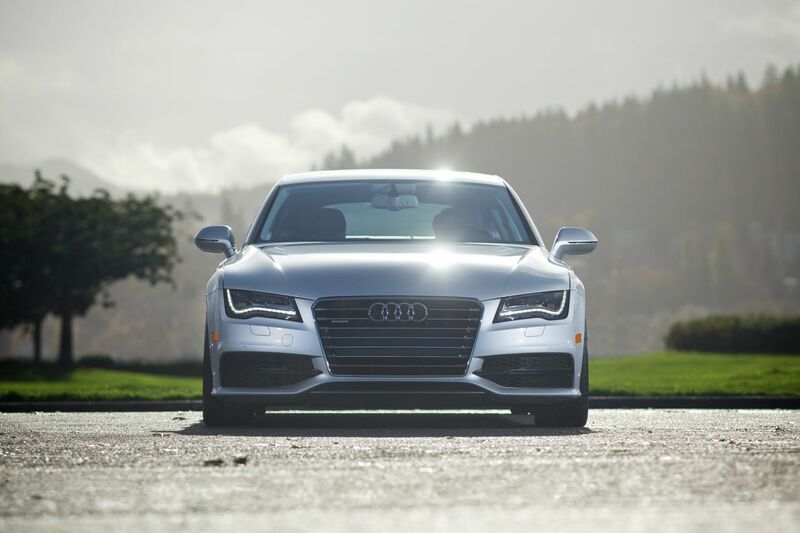 The factory Audi S-Line exterior appearance is available on the A7 Prestige trim package and adds a distinct grille and bumpers - perfect for the H&R Audi A7 project. 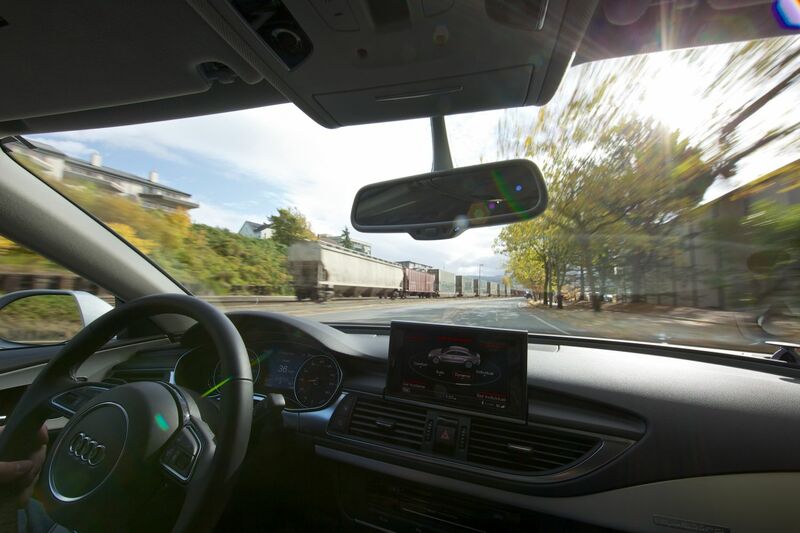 Inside, the interior features WeatherTech® FloorLinerDigitalFit® mats accurately and completely lining the interior carpet giving “absolute interior protection!” Digital laser measurements of interior surfaces offer a consistently perfect fit. A patent pending High-Density Tri-Extruded (HDTE) material allows for a rigid core for strength while offering surface friction to the carpet, as well as tactile feel to the surface. The plush factory carpet is kept in constant showroom condition. 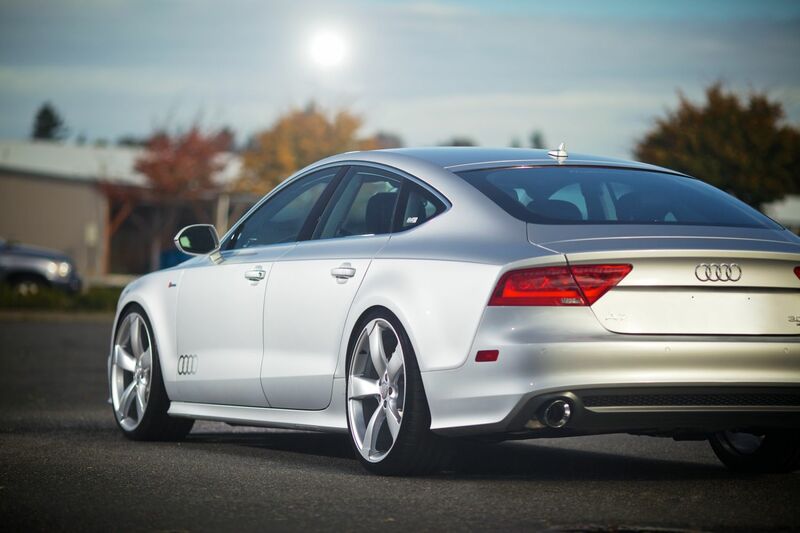 The H&R 2013 Audi A7 makes a true automotive styling statement that anyone into high fashion and performance would desire!